This suit made of ropes will make you into a jungle gym for your children or drunk friends to play on. 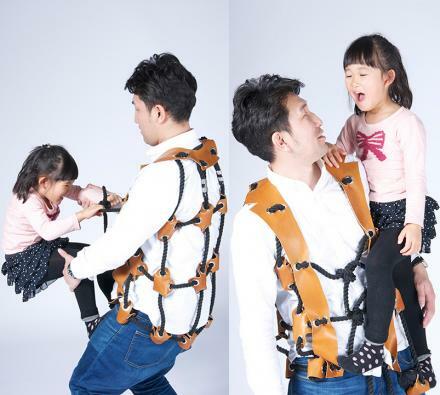 Perfect for a family that might not have a playground nearby for their children to play on, this rope suit turns dad into the playground. 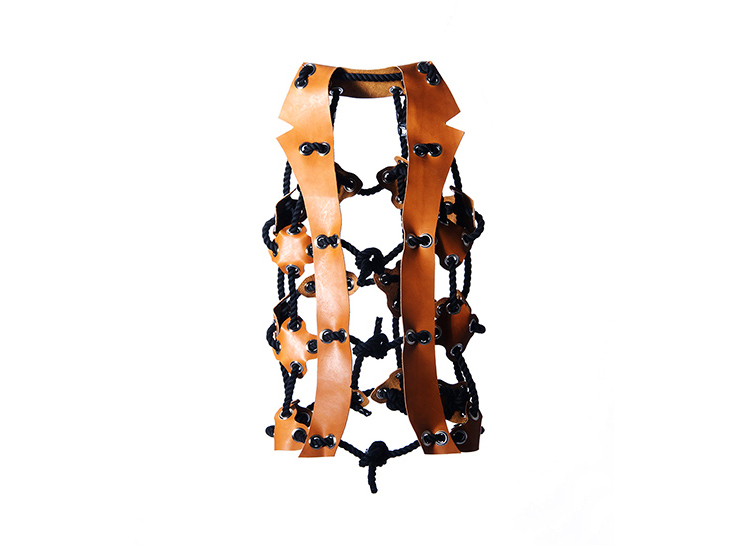 Made from rope and leather straps around each joint, the rope suit is not only just a good way for you and your children to burn some energy, but makes for a great bonding experience, as you literally couldn't play closer together to one another. 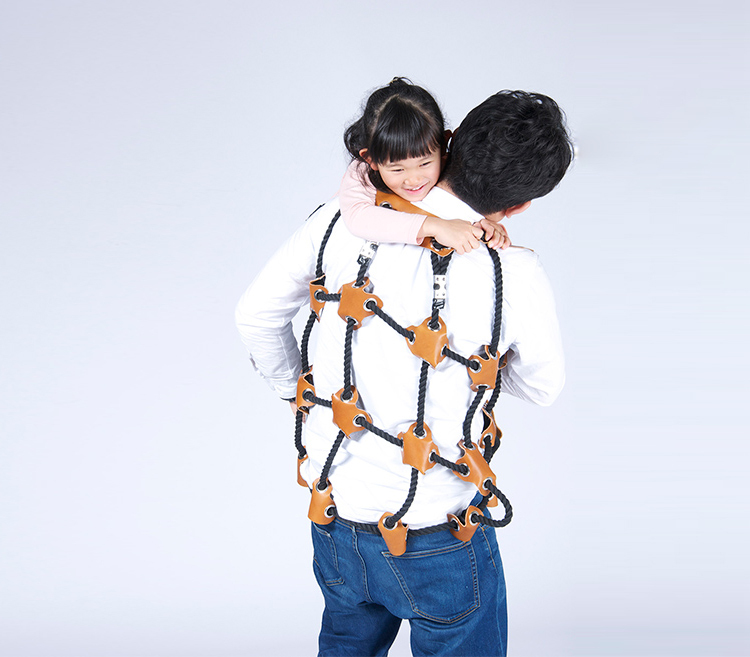 Designed by Japanese artist Atsushi Shiraishi, the rope suit playground is just a concept for now as it's not actually for sale anywhere, but kids can certainly hope, and Dads can certainly hope not, that his product comes to fruition soon! 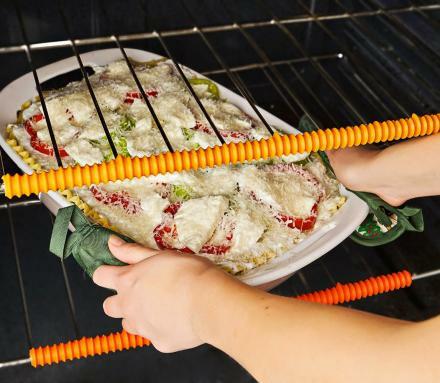 The rope suite jungle gym prototype is made from rope, leather, and stainless steel, and measures 27.5 inches tall x 15.7 inches wide x 2 inches deep.